Regular service times are Saturday 5:30 PM, Sunday 8:30 AM, and Sunday 10:00 AM. We worship each weekend as a Lutheran congregation, using a variety of music forms to enhance our worship. 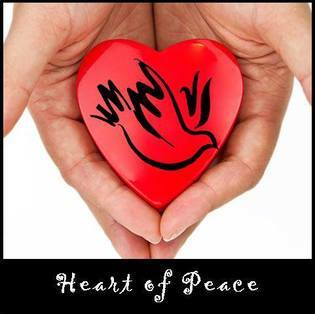 At Peace we also recognize that what is most important in a Christian’s life is what happens the other 167 hours of the week outside of corporate public worship. It is our mission to be more than a people who go to church, but to be the church in the world. Holy Communion is offered at all services. Our Saturday service begins at 5:30 PM and features a more traditional/blended style of worship with liturgy drawn primarily from the Lutheran Book of Worship. Hymns and worship songs from a variety of sources and styles are sung and accompanied by piano. Our 8:30 AM service features a more traditional style of worship with hymns and liturgy drawn primarily from the Lutheran Book of Worship or Marty Haugen's Now the Feast and Celebration. Hymns are accompanied by piano. From September through April the Adult Choir provides special music each Sunday and leads the congregation in song. The Handbell Choir also provide special music at 8:30 AM every other week. This worship hour offers a more contemporary style. Upbeat contemporary praise songs as well as hymns that have been arranged for guitar and drums enhance this worship, which is led by one of our three praise teams. Our children are invited forward for a special time at the beginning of this service, and then are released to Sunday school. Once a month, between September and May, the Sunday School Children's Choir sings at the 10 AM service. Hosted by Peace Lutheran Church with a Thrivent Action Grant! Proceeds will benefit Peace Lutheran Preschool Scholarship Fund and College Tuition for an Inmate. Dinner to follow at Peace Lutheran Fellowship Hall. Raffle will be held for place prizes, which include merchandise donated by Callaway Golf Company (balls, hats, tees, drive, and golf bag! ), 4 rounds of golf at Westbrook, and a handmade quilt. Cost is $50 per player ($25 if you are an annual or 6-month WBVGC member). This will be a scramble format and you can sign up as a single, 2-some or 4-some. 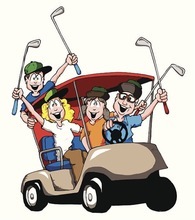 USGA handicaps are not required. Click here for an Entry Form. Please return your completed form with the registration fee to the church office by April 14, 2019. Raffle tickets on sale now!! Save the date for To Mars and Beyond VBS! Blast off To Mars and Beyond...and Explore Where God's Power Can Take You! Galaxy voyagers will journey from their galactic outpost on special missions to discover God's amazing Universe. We will have a week jam-packed with timeless Bible Stories, Games, Crafts, Songs, a Mission Center, and out-of-this-world- fun for children ages preschool to Grade 5! Cost is $10/Child. Space is limited so be sure to register today. (Grade 6 and older are invited to volunteer in a variety of areas!) Please email Macon here with any questions. Register for VBS 2019 here! Register here to be a VBS 2019 volunteer! Would you like to help? We're looking for adults and teens, grades 6-12! There's something for everyone at To Mars and Beyond VBS - let us know where you would like to be placed. Register here to be a VBS 2019 volunteer. Please join us for Music Camp!! 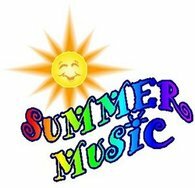 Grades 1-6 will have fun singing, playing musical games, playing handbells boomwhackers, and just having a good time together. We will have evening snack and "musical movement breaks" every evening. Friday will culminate with a program for friends and family featuring a glimpse of our musical week. Please email Kay here with any questions. Register for Music Camp 2019 here! Children 2nd Grade and older, join us for our 6th annual Drama Camp where we will spend the week learning how to act and how to build your confidence on the stage! This summer, our theme is "Hollywood"! We will be taking a look at the different roles in theater, from the actors to behind the scenes. Participants will even get to write and perform their own skits! Cost is $10 per child, which includes a t-shirt and supplies. If you have questions or would like to be a volunteer for Drama Camp, please email Markita here. Register for Drama Camp 2019 here! We hope you can join us for our Family Art Camp! We will create beautiful works of art, that any age will have fun making. Make it a family event or just send your children. All are welcome! Cost is $10 a person or $30 a family. Please contact Shannon here with any questions. 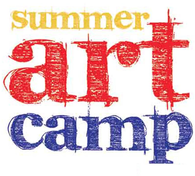 Register for Art Camp 2019 here! June 16 - June 23, 2019 is approaching quickly. This is the week we have our family promise families at our church. It is our job to provide them with a safe place to sleep, meals, games and conversations. We are looking for volunteers to step up and help out during this week and preparations before. We need help cooking dinner, preparing breakfast and packing lunches as well as volunteers to stay over night with the families at Peace. This is a great opportunity to help families and children in need. Please contact the church office or you can email Kristin Henninger here if you would like to volunteer. Welcome! We're glad your here! Welcome to Peace Lutheran Church, a partner in the worldwide mission of the Evangelical Lutheran Church in America. . . .